We all know that British spy extraordinaire James Bond was a man of many cocktails, from gin and vodka martinis (shaken, not stirred) to the Vesper: a boozy, gin-and-vodka-mingling concoction of his own creation. Given his propensity for drink, it’s no surprise that Bond eventually ended up in New Orleans. When he hit the silver screen in the 1973 film, "Live and Let Die," the Crescent City seemed like the perfect fit for the dapper hero’s next adventure. While the film (Roger Moore’s first) is ripe with all the expected tropes — voodoo, alligators, Bond babes, and a stellar Paul McCartney theme song — the crowning moment comes when our ultra-suave protagonist finds himself at a bar and orders a bourbon, no ice. Relax, indeed. I’d like to imagine a present day Bond ambling up to the bar at SoBou in the French Quarter to find Abigail Gullo, who most certainly would serve him her extra-sultry riff on a classic Sazerac, The Bitter Southerner No. 4. While Abigail might not be a native New Orleanian, she exudes the kind of singing, dancing joie de vivre that hangs heavy in the thick air across the city. With a colorful flower often tucked neatly behind her ear, she puts the likes of Blanche DuBois to shame when it comes to effortless Southern charm. Most importantly? She’s a damn fine bar chef. A native of Hyde Park, N.Y. — with roots in Georgia and Virginia — Abigail displayed a propensity for cocktail greatness at a young age, collecting vintage diner mats and cocktail coasters while others kid were hoarding their collections of stuffed animals and stamps. After operating a cocktail lounge out of her living room in Ireland and stints managing some of New York City’s finest cocktail havens — including Fort Defiance and The Beagle — Abigail was tapped to head the bar program at SoBou, a spirits-driven French Quarter dining destination that’s the latest addition to the family tree of the prestigious Commander’s Palace restaurant. The inspiration for the No. 4 comes from the wealth of makers, movers, and shakers who have been producing Louisiana’s finest local products for decades. The drink celebrates the family businesses that take the region’s embarrassment of sweet riches — from citrus and sugar cane — and turns them into the kind of elixirs that are perfect for helping stave off the oppressive heat of August’s dog days … if only for a few sips. While Creole-Italian comfort foods are more common dining fare, one of the most unique Sicilian traditions in the city occurs annually on St. Joseph's Day. Each year on March 19, churches, bars, bakeries, and backyards host elaborate altars covered in sugary delights from pignolati to zeppole in honor of St. Joseph, patron saint of Sicily. There’s a bit of that “Godfather”-style, “leave the gun, take the cannoli” wisdom mixed into the No. 4. Whether or not you decide to pair your Averna with a heaping helping of New Orleans-style red gravy or sip it after visiting a St. Joseph’s Day altar, the digestif distinguishes itself as a good gateway liqueur for those looking to test the amaro waters. It also happens to be an ideal version for cocktail making. Abigail doubles the bitter pleasure in the No. 4 to celebrate the diverse Italian heritage of her grandparents — and New Orleans — with equal fanfare. “Sazeracs also have two types of bitter in them, so we like to get you coming and going with the bitter flavor,” says Abigail. While most associate this Italian aperitif with the negroni or the notorious (often bastardized) art deco advertisements of Leonetto Cappiello, Campari serves as a fine addition to more spirits-forward, lofty drink concoctions, able to balance out sugary sweet and the punch of citrus with equal force. The Campari also gives the No. 4 the same ruby-red hue as a Sazerac: an appropriate homage to the New Orleans classic that’s the granddaddy of all cocktails. “Down in New Orleans, we got your sugar, Sugar, and we turn that sugar into really nice rum,” says Abigail. Folklore runs deep in Louisiana, with “spirit” taking on a whole different meaning than just the liquor in your cocktail glass. Cajun ghost stories are some of the most eerie and haunting of any told around campfires in the South, and the No. 4 has a bit of that midnight-in-the-sugar-cane-fields mystery to it. Abigail’s spirit of choice, Rougaroux Full Moon Dark Rum, is named after one of Acadiana’s most infamous creatures of the darkness, the Rougarou. This werewolf-like beast is said to creep around Cajun country on the hunt for naughty, misbehaving children. Created using sugar cane locally grown in Thibodaux, La., the home of makers Donner-Peltier Distillers, the rum is deep, smooth, and dark: perfect for the kind of cocktail — like the No. 4 — that requires sipping and savoring. If you’re recreating the No. 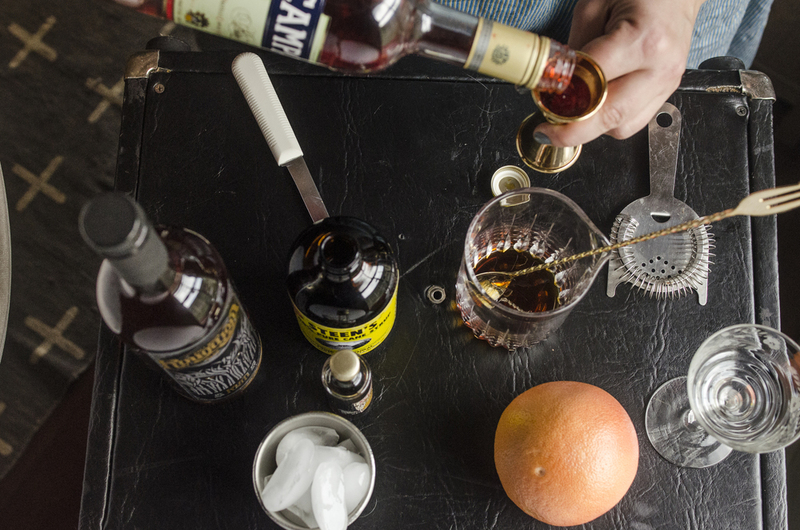 4 at home and are looking to capture the same shadowy nuance provided by the Rougaroux, Old New Orleans Amber Rum (a more widely available New Orleans-distilled product) and Ron Zacapa Rum — aged and blended using a method traditionally reserved for sherries — will transport you to the Cajun prairie with a similar ease. 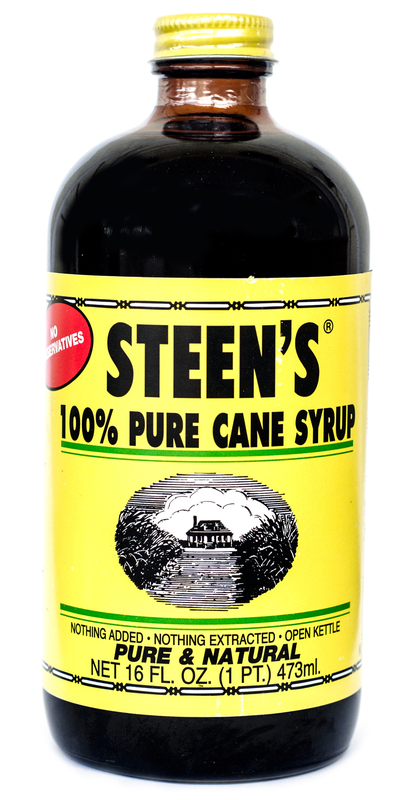 Steen’s Cane Syrup is such an integral part of my own life that I’ve often worried that eventually I’ll be drowned in a great wave of the sticky-sweet cane juice, preserved forever like a gluttonous bug in amber. Created from sugar cane that’s cooked down until thick and treacly, Steen’s has a toasted, nutty taste and glistening caramel color that distinguishes it from any of its fellow syrupy brethren. Produced in Abbeville, Louisiana since 1910, cane syrup is the perfect ingredient to drizzle over a slice of cornbread, bake into a gingerbread cake, or mix into a cocktail like the No. 4. If you’re looking for a down and dirty substitute for cane syrup, err on the side of a local clover honey, which will add a similar sweetness and warmth to the drink. There are few things more enticing than a perfectly blush-colored spiral of grapefruit peel perched on the rim of a jewel-colored cocktail, just waiting to be sipped. While grapefruit might not be one of New Orleans’ signature citrus fruits (looking at you, satsumas) the tart peel makes for a mighty lagniappe, adding a feisty bite to the No. 4. It’s lush. It’s bitter. It’s exuberant. The Bitter Southerner No. 4 is perfectly reflective of the bittersweet love affair many of us have with the gritty, glamorous city of New Orleans. Add cracked ice and stir until chilled. Strain into a chilled cocktail glass. Garnish with the twist of a grapefruit peel.